Bought these in Bromley while back. An old, stained-by-life, uniform shirt, worn by a prefer-to-be-nameless friend, day-in and day-out. About two and a half years ago, the gallery where I work decided to change the colour of its uniform. 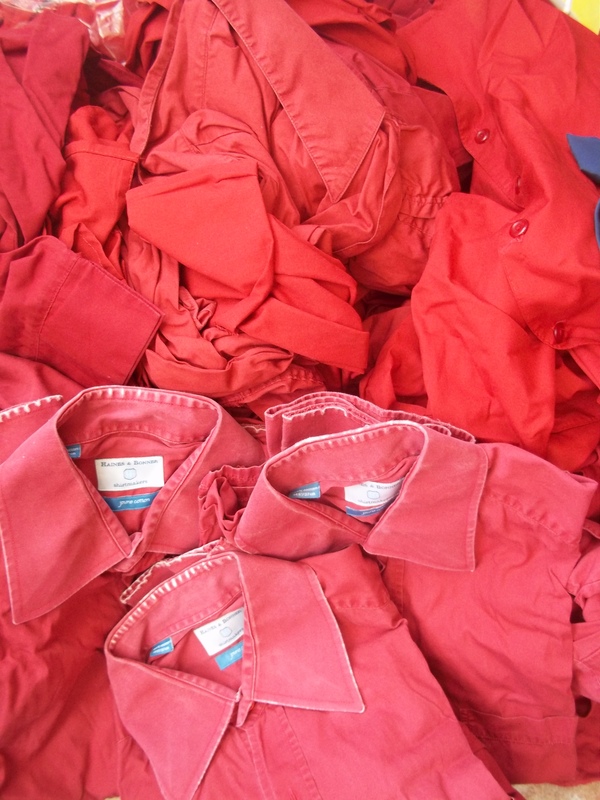 We were now to have blue shirts and red ties, instead of red shirts and blue ties. As much as I hate wearing a uniform, I loved those red shirts. Red is blood. Red is solidarity. I liked, at the end of the day, as we tried to clear the gallery, to look over the balcony at the sea of red flowing toward the doors. Pale blue isn’t the same. We were asked to hand in our shirts, they could not be given to charity shops because of the logo, and most had seen better times. As the days passed, the mountain of shirts grew. I really wanted that mountain of shirts. Those shirts contained the blood, sweat, tears and coffee of us. Those shirts kept us in our place, or so it felt sometimes. The managers and curators didn’t wear them, the people on more than minimum wage, the people who tell us what to do. The people who don’t know my name. Those shirts represent a lot. In the end it was too much, I just couldn’t let those shirts go. I had no idea what I was going to do with them, but those shirts had been worn by my colleages, day in and day out, good days and bad. I had to make something with them. As I started picking them up I realised I couldn’t take them without knowing who had worn them. I have always loved the way Van Gogh named his sitters as if he valued them as people, and hated the way Picasso often didn’t. 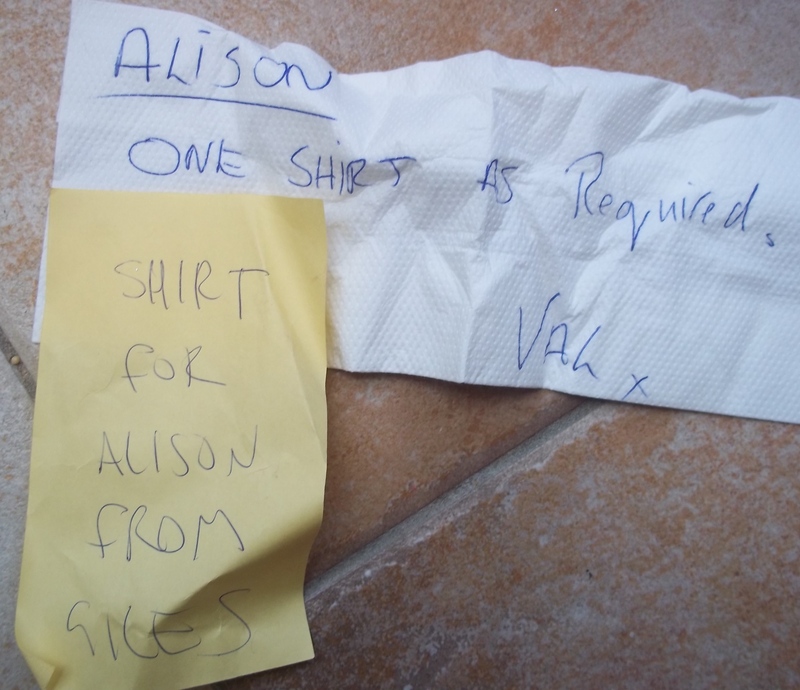 In this job I frequently feel like a non-person, so it became important to me only to take the shirts with names. Looking back, I wish I had taken the lot. The fact that most of the shirts didn’t have a name is very symbolic, I didn’t see it at the time.